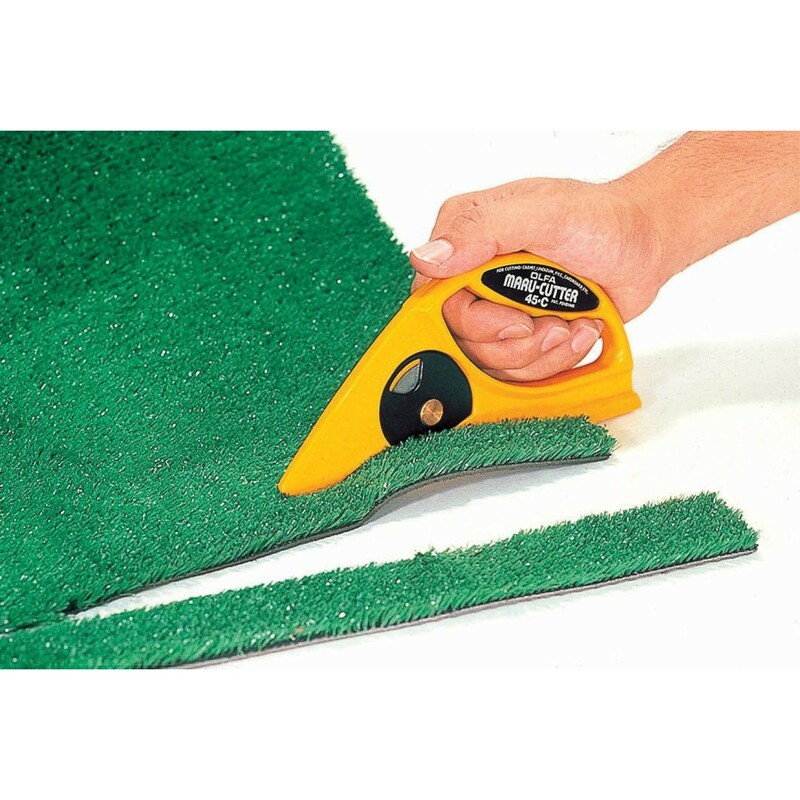 OLFA Carpet and Linoleum Cutter provides for precision cutting without damage to the cutting base surface. 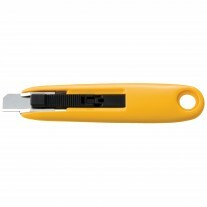 Design allows for safer cutting as majority of blade edge is concealed and handle design keeps hand away from the blade. 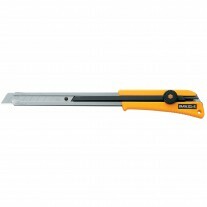 Cutter uses a 45mm rotary blade that does not rotate when cutting. 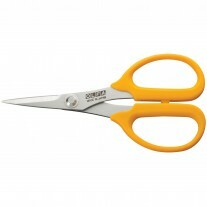 When the blade edge is dull, simply revolve the black dial slightly to obtain a sharp new edge. Includes RB45 Blade. 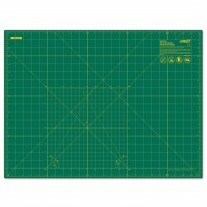 Good For: The unique design makes the 45-C ideal for cutting things like poly resin sheets, roofing felt, foundation membranes, landscaping mesh, vinyl, carpet and linoleum. 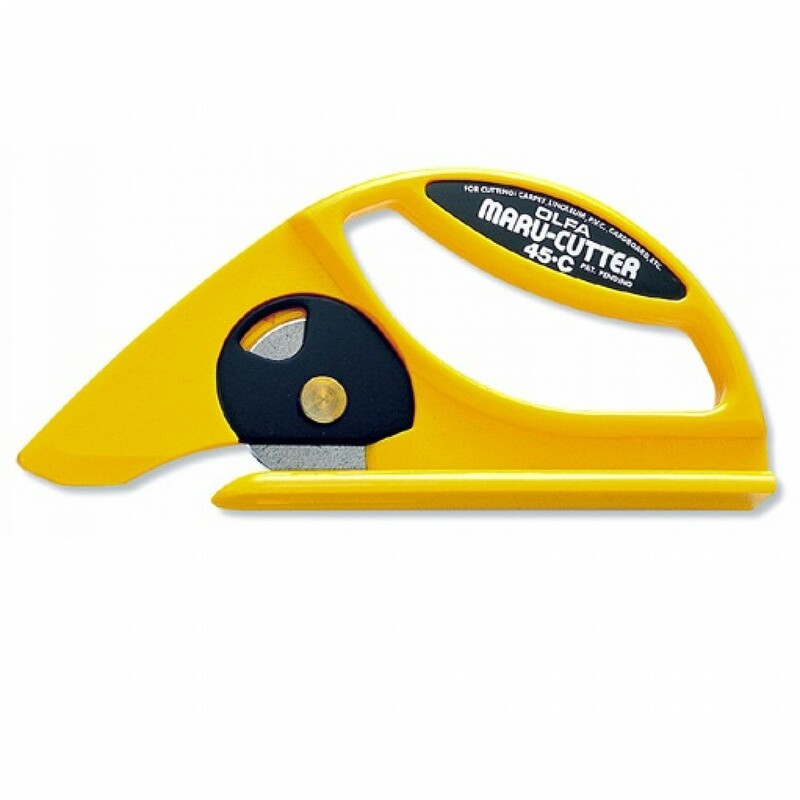 Applications where someone needs to protect the product or materials underneath, this cutter is designed so that the blade doesn't come in contact with product/materials therefore preventing damage. Furniture manufacturers and electronics manufacturers like this product as when cutting shrink-wrap off pallets, their products don't get damaged.